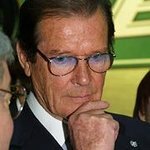 Sir Roger Moore of James Bond fame will host one of the most magical events of the year, the “World Magic Awards” on Saturday October 13th at Barker Hanger in Santa Monica, CA. A portion of the proceeds will benefit the Feed the Children Organization. The black-tie star studded event will include some of the top names in magic and entertainment. Lance Burton, Neil Patrick Harris, Hans Klok, Pamela Anderson, Arthur Trace, Kevin James, Tony Chapek and Jason Alexander are among the list of presenters and performers. And what would a magic show be without a few surprises? Feed the Children helps with programs to feed children and their families, responds to disasters worldwide, helps with babies who have been abandoned, lost parents to epidemic or have endured violence or poverty. To learn more about Feed the Children visit their website at www.feedthechildren.org.